Part production company, part philanthropic enterprise, the Seattle-based Vulcan Productions seeks to catalyze global activism through engaging storytelling. Founded by Microsoft co-founder Paul G. Allen and Jody Allen, Vulcan specializes in creating impact campaigns that drive meaningful change on a number of global issues, including wildlife conservation, climate change and educational inequality. Vulcan works with projects from the early development stage through the end of a long-tail impact campaign. Recent Vulcan features include Amanda Liptiz's STEP, Kief Davidson and Richard Ladkani's The Ivory Game and David Darg's Body Team 12. What qualities are you looking for in a project? Jannat Gargi: Obviously, story and characters are the key. Those are always the front-runners. Who is the creative king that's telling the story? What kind of access do they have? What's the point of view? Those are all factors creatively. We engage internally developing projects and also partner with outside companies with concepts that tie to Vulcan's core initiative. Carole Tomko: More than anything else, we're perpetually supporting and creating content around areas of interest to the organization and around Paul Allen's active philanthropic areas. That is core to how we really decide and look at the filters. Our number-one filter when we are looking at a project is impact. Secondly, where are the issues that are tethered philanthropically to the organization, or are just of interest to Paul, that can drive the change in a conversation? And is there a way that Vulcan is uniquely positioned to make content that will be different than someone else? We try to look at our unique aspect of driving things. What are you looking for in impact partners? CT: Most people don't realize we actually have our own impact team. We [also] go out to impact partners; we will use NGOs and other folks to scale. We largely work with our partners if we're designing an educational campaign. The design of the actual impact campaign we do internally. That is absolutely at the core. It's a lot of the reason why filmmakers like to work with us. They know that when we take on a project, 99.9 percent of the time we are going to mount an impact campaign and extend outreach on all of our projects. How does Vulcan measure impact, and how closely linked is it to metrics like ticket sales and downloads? JG: Impact depends on the project. Our goal primarily is to create a conversation, to spark curiosity, to have a healthy debate. It's not always necessarily on the nose with our agenda, but we believe that it's getting people to question and think about the topic or the story. CT: It was one of the most interesting shifts when I came out of network world and into Vulcan. Our ROI is not just ratings or revenue. We absolutely will look at those. We are really measuring impact by change. We have a measurement team. When we go in to look at a project, we are a little bit different. When we talk about outreach and impact, we can measure screenings, education, NGO partnerships and views. Those are important foundational components to us, but when we actually design a campaign, we go right to, What do we need to have happen? Is it policy? Is it getting to multiple people, or is it getting to one influencer? We will literally design the call-to-action and be really clear in what we want to have happen all along. We design a full theory of change when we look at our projects. Our measurement may be a policy. It may be a global ban on ivory. We set the bar pretty high and then we back into four components: Do we need a government to make a change or influencers to make a change with policy? Do we need it to be an awareness issue? Are we measuring awareness? Do we need businesses to make a change or do we need consumers to make a change? We go through every single one of those and then decide how we're going to measure and where we are at the start of a project through to sometimes five, maybe, 10 years out. Honestly, a huge amount of our work starts when a film premieres. JG: With our campaign that we launched for We the Economy, the digital series that we did with Morgan Spurlock, and for We the Voters, it was broader. It was about educating and informing. The measurement for success was tied to the reach with educators, how many schools were downloading and utilizing the curriculum, viewership, and deeper engagement with the ampler materials that we had available. How important is the role of the filmmaker to a successful impact campaign? JG: We always want to have alignment with our creative partners. Generally, we will have a conversation right from the get-go: What is your goal in making this film? What do you hope to accomplish? Then we introduce our ideas and ensure that going forward we're aligned in not only the story that’s being told but in the message and the larger outreach efforts around the film and around the program. If we see it as a strong partnership, we would never want to take it over and not have them involved. The level of involvement depends on the filmmakers' capacity or the production companies' capacity. Often times these campaigns go on forever. 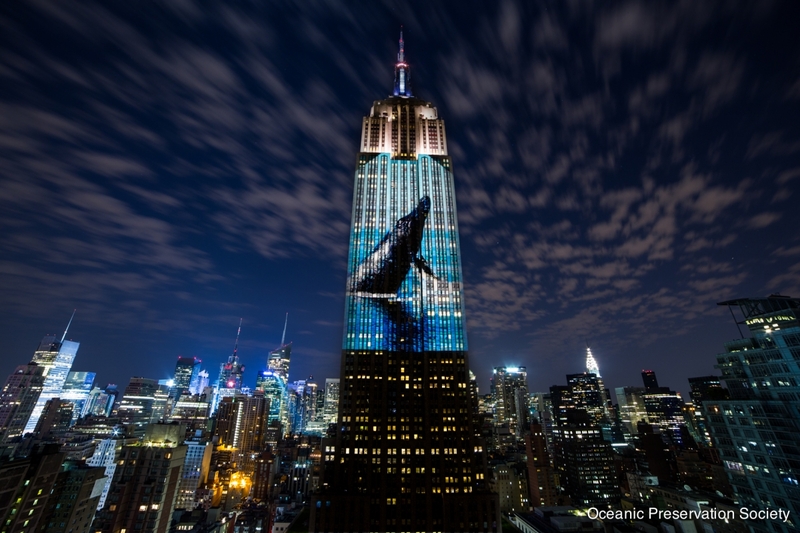 Racing Extinction is a perfect example. We're still doing a lot of work around the campaign on the film, and it's been in the marketplace for two years. They have long tails, and the work has to continue well beyond the release of the film. Oftentimes, film crews will then go on and make their next project. CT: Filmmakers have a critical role. Their storytelling is critical. However, we do most of the heavy lifting and that's what they want because they have other films to make. Usually they will come to us—let's take Louie Psihoyos [Racing Extinction]. Louie did a brilliant job bringing that concept of mass extinction to the stage. He really relied on [us for] all the calls-to-action. We took the heavy lifting of partnering with almost 100 NGOs, driving petitions, driving bans, multiple calls-to-action, education curriculum and special screenings. Louie worked hand-in-hand with us, but he largely said, You guys drive that train and tell me where you need me. Sonya Childress from Firelight Media wrote an essay earlier this year arguing that the doc community needed to move from an "empathy" impact model toward a "solidarity" impact model. Are there limits to empathy as a tool for change? CT: I would say the most important thing that we can do in producing documentaries is to spark curiosity. A perfect example may be climate change. Someone may look at it and say, I don't believe in climate change. Then you may have a whole other group of people that say, It's obvious; the science is there. If I can bring both parties together to be curious about each other, about why one side might believe that something is flawed and why the other side might be so strident, then I have done my job: I have created a bridge. If I can have someone watch a documentary and want more information, then I have checked a massively successful box. If they feel it in their heart, fantastic, but if it sticks with them and it gnaws at their brain and I get them at their head, that’s the most important thing. I would say it's a combination of both of those aspects. JG: In order to create change, people have to care about something or someone. You have to engage the audience to care about something, whether it's a character or a subject. I mentioned earlier about creating this curiosity and wanting to learn more; without that, on a very general level, there is awareness. You have to know about something and you have to care about something in order to engage in some capacity. If you look at a film about climate change, it's such a broad subject. It's something that's hard for people to sink their hooks into because you feel helpless, you feel powerless, you don't really know what you can do, and it feels daunting. If there is an angle that is unique or that has a character that you care about, as opposed to just being a bunch of talking heads and naysayers, then I think it's easier to get people on board, to care and then to want to view something. It's all about the story. We need great storytelling to create impact because that’s what engages viewers.